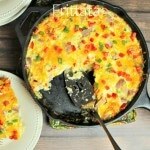 Western Omelette Frittata has all the great flavor of a traditional Western Omelette but in a baked dish. It’s made ham. eggs, onions, bell peppers, cheese. There’s a small twist with hash browns that gives it more flavor. Brunch is my favorite meal. Don’t get me wrong I have a strong affection for breakfast, lunch and dinner. However my heart will always belong to brunch. One of my favorite parts of brunch are omelettes. Most mornings I don’t have a lot home time to make eggs for breakfast. So when we go out for brunch or even when I make breakfast for dinner omelettes are almost always on the table. Recently I saw a recipe for a frittata on Pinterest that was made with ham and potatoes. That recipe inspired me to turn my favorite omelette into a frittata. Begin by melting butter in an oven safe skillet. Once butter is melted cook potatoes until they are tender and then remove from heat. In a large bowl, I used my largest mixing bowl, whisk together six eggs. Then add peppers, onions, ham, cheese, salt and pepper. Whisk until well combined. Pour egg mixture over hash browns then sprinkle cheese over the top. Place in a 350º oven for 25 – 30 minutes. When the eggs are firm in the middle the frittata is done. I use the highly scientific method of wiggling the skillet from side to side. If nothing wiggles back it’s done. Your Western Omelette Frittata looks wonderful! I love breakfast any time of the day and have added this to my Pinterest breakfast collection. looks delish, printed – thanks for that option! All your recipes here sound so yummy and easy to make – printed and pinned a couple others 🙂 you have a new stalker!! Western omelettes are my all time favorite, but I’ve learned I am horrendous at making any sort of omelette! I love this idea! My hubby used to make omelets every Sunday morning for our family. Now our schedule prohibits it, but I have really fond memories of those times! Maybe I’ll ask him to make some for a brunch or brinner soon. Yum! This frittata looks so good! Perfect for lazy Sunday mornings. I’m stopping by from Funtastic Friday. 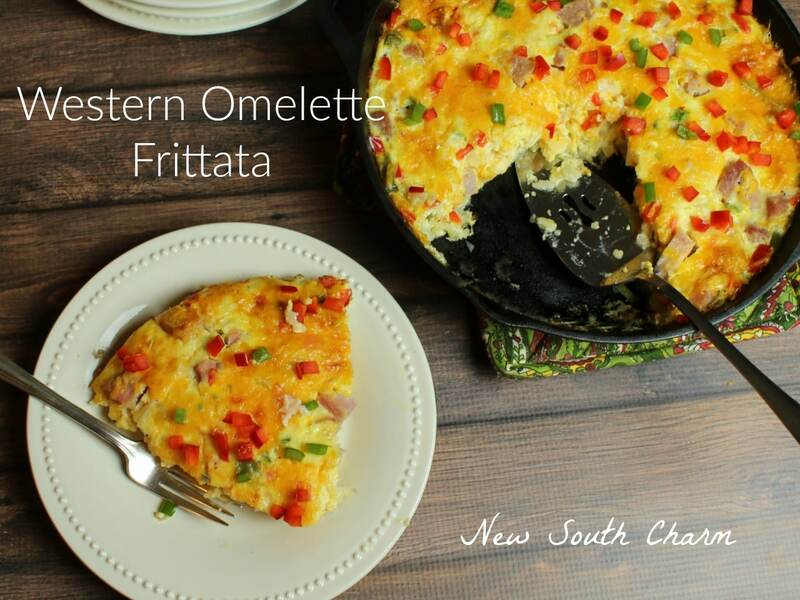 Your frittata looks wonderful! Now I know exactly what I need for breakfast! Thanks so much for joining the Table It Link Party, I hope to see you again next Sunday at 4 pm. What a great recipe that works for any time of day! Breakfast, lunch, or dinner, this would be awesome! Thanks for linking up with Delicious Dishes Recipe Party! This looks great, I’m making it for lunch. Thanks for sharing, I’m also pinning it. 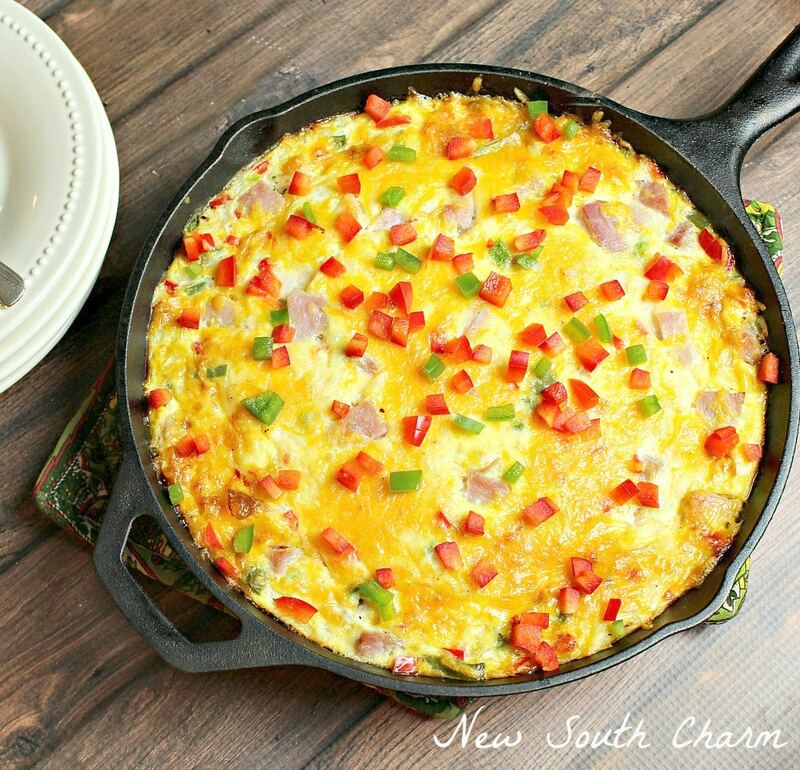 I love western omelets – the spicier the better! Great recipe Susanne, love it! Western omelette was my mom’s favorite. This looks delicious! 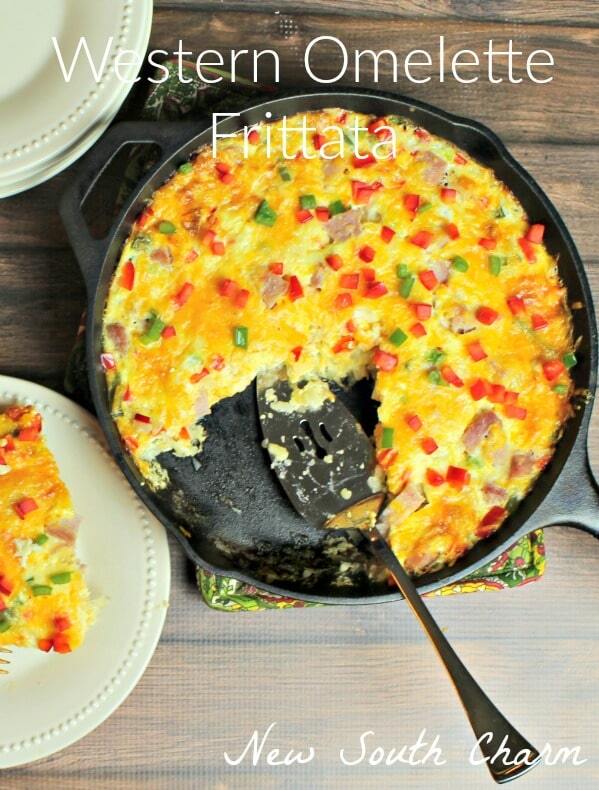 This Frittata sound excellent! I can make one with the left over ham we always have on Easter. Thank you for sharing! ??? ?